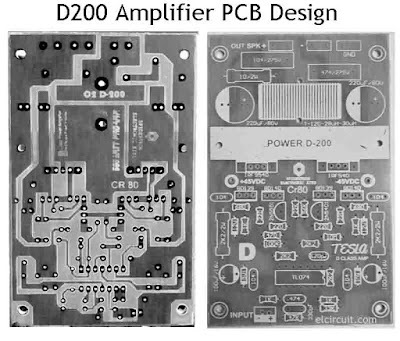 Power Amplifier D200 is quite good and reliable in its performance has a power output of about 200Watt 8Ohm. Power enough qualified to drive 12-inch subwoofer speakers. And also no less interesting, this power amplifier is perfect for you who just started (beginner) assemble class D power amplifier. By composing, the circuit of Op-Amp TL074 as a comparator circuit. audio signal and triangular wave then driven again by the driver transistor BD139 and BD140. And the final will be processed by the IRF9540 and IRF540 MOSFET transistor. Then the signal is still shaped square wave will be filtered by a low pass filter circuit to become a sine wave. An output will be forwarded to drive the speakers. 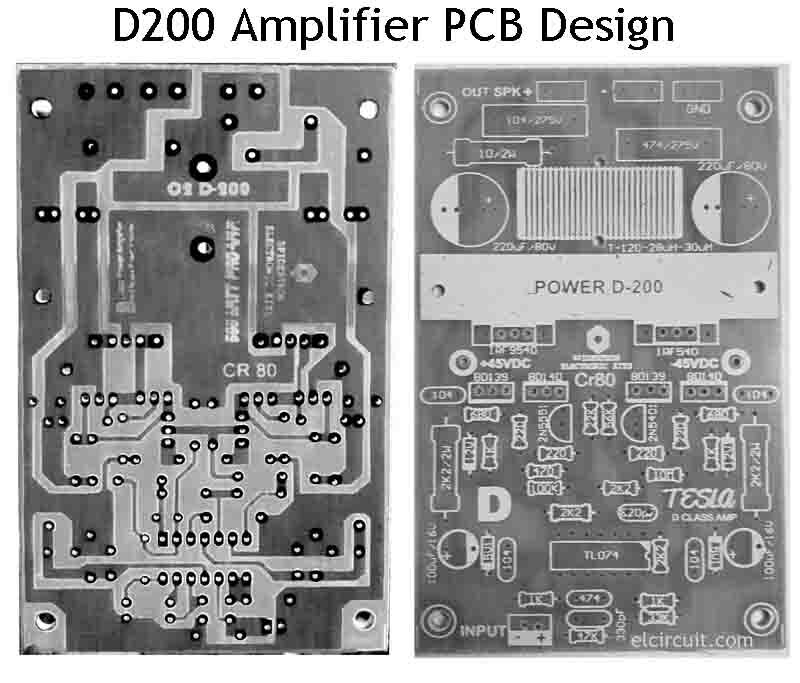 Below the full schematic of D200 Class-D Amplifier, simple Class-D Amplifier and suitable for a beginner of Class D Amp Fans DIY Audio. If you need an image more clearly please give me your email I will send it, Leave it on comments box below. This Power Amplifier is more efficient than power amplifier conventional. Power supply voltage need for this amplifier about +45VDC GND -45VDC. Use the good power supply or you can use switching power supply for audio that has minimum 10A ratings. The core i use from the Junk PSU PC. Use 22uH . you can use class D900 W ot this site. Please click the image and you can see the clear schematic. I enjoyed reading your article :) PLease continue publishing helpful topics like this. Regards, from Let's get gadgets. Hello! 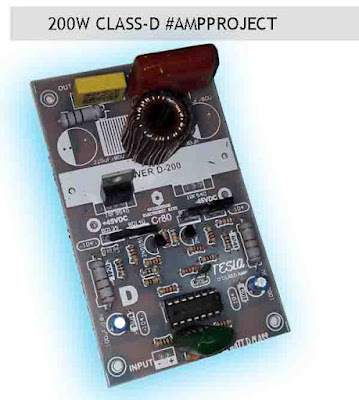 I'm interested on this project but I see there's no PCB file or PDF, only an image. If you want I can collaborate by tracing the PCB using Sprint Layout 6 with all the benefits that mean. mas kalau voltnya saya pakai 24v gak bisa ya? Gostaria de montar este amplificador D200,poderia mandar o esquema legível para cmoreth245@gmail.com Muito obrigado!